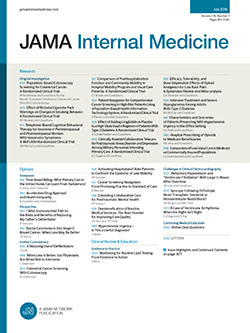 As editors of JAMA Internal Medicine, we strive to publish work that shines light on and informs use of medical products and practices. We recognize that there can be honest differences of opinion and that not all published findings will be successfully replicated.1 In addition to our critical appraisal, we greatly value our reviewers’ help in identifying any problems with submitted articles; we welcome Letters to the Editor, including letters that are highly critical and challenge the findings of the work we publish. We also publish replications and refutations of important work. We support a learning-journal health care system and see the research process as iterative; we believe that knowledge advances when scientists are free to disagree with one another.